Semi-arid non-eucalypt woodlands are a significant component of the Victorian Mallee. They are dominated by varying proportions of Buloke (Allocasuarina luehmannii), Belah (Casuarina pauper), Slender Pine (Callitris gracilis) and Sugarwood (Myoporum platycarpum). Once widespread, their distribution has contracted due to extensive clearing, with the largest stands now occurring within conservation reserves. Buloke woodland communities are particularly depleted which has led to their threatened status under Federal and Victorian legislation. 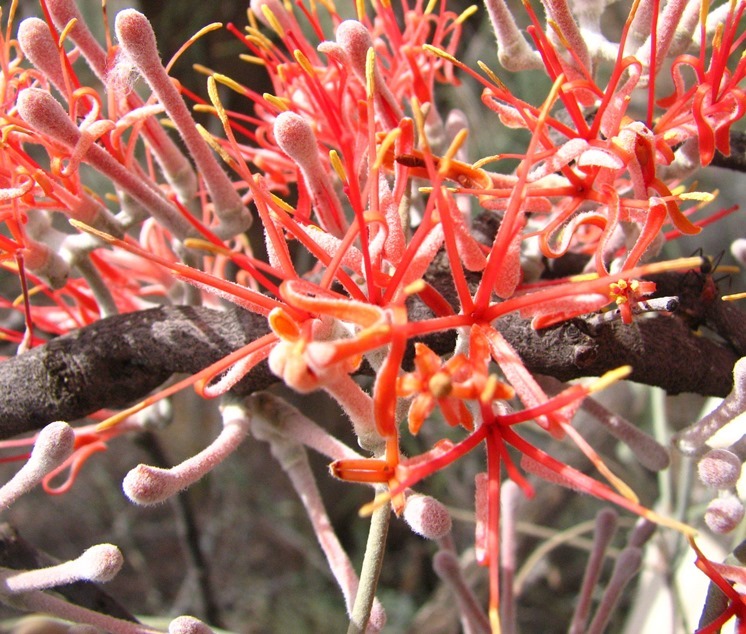 Remaining semi-arid woodlands (on both public and private land) are under threat from incremental clearing, browsing by rabbits, goats and kangaroos, and weed invasion. In addition, there is limited regeneration of woodland plants. This is a concern as plant regeneration is essential to ensure the woodlands' long-term survival. ARI assessed four semi-woodland types within Mallee Parks and Reserves to determine more precisely their extent and health, which will be used to contribute to effective management. Belah, Buloke-Pine, Pine Rises and Sugarwood woodlands were assessed within Murray-Sunset, Hattah-Kulkyne and Wyperfeld National Parks, and Yarrara Flora and Fauna Reserve. Information collected included the age profile of the main canopy species (diameter and proportion of young and mature plants), cover and composition of understorey and ground layer plants, and the cover of coarse woody debris, bare ground, litter and biological soil crust. These components contribute to the overall health of a stand, e.g. woodlands with an intact canopy and many understorey species are healthier than those with little canopy and few understorey species. Browsing intensity and rabbit abundance were also recorded. 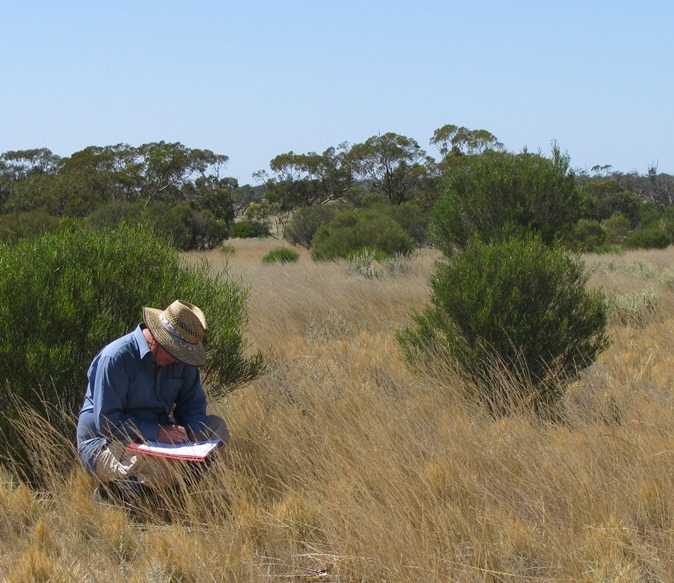 A total of 153 perennial plant species including 45 weed and 27 threatened species were recorded with one new native plant record confirmed for Victoria: Desert New Holland Daisy (Vittadinia eremaea). The 320 woodland sites assessed were assigned to one of four health categories: 20% were rated as 'poor', 63% as 'average', 16% as 'good' and 1% as 'high'. This highlights the need to protect regenerating canopy species (e.g. by fencing seedlings) and to undertake revegetation of canopy and understorey species to improve woodland health. The information collected will help to prioritise management activities and monitor their effectiveness, e.g. reducing browsing should see an increase in establishment of young plants. This project was supported by the Mallee Catchment Management Authority through funding from the Victorian Government and Parks Victoria.